Two years ago, Dhananjay Ravat, who is a professor in the UK Departments of Earth and Environmental Sciences and Physics and Astronomy, was asked by the leader of the Swarm Satellite Constellation Application and Research Facility of the European Space Agency (ESA) to collaborate with their team to create a map of the magnetic features of the Earth’s lithosphere. Ravat, who has worked on geophysical data from several space missions around the Earth, Mars and the moon, was intrigued by the Swarm project, and his involvement ultimately led to the development of the highest resolution map of the planet’s magnetic field from space to date. ESA launched three spacecrafts, known as the Swarm satellites, into Earth’s orbit in 2013 to track and study the planet’s lithospheric magnetic field. The field is responsible for deflecting dangerous solar winds, and impacts the planet’s climate and rotation. Up until now, scientists have not been able to fully map the magnetic field, but thanks to the Swarm mission, they now have a more complete understanding. The map also reveals the Earth's "polarity flips" in great detail. Every 700,000 years or so, Earth’s poles reverse. This means the pointer on a compass will face south again one day, and that reversal could happen on human time-scale since the last reversal took place about 720,000 years ago. This new map shows striking patterns of these flipped polarities over time — solidified minerals have formed “stripes” on the sea floor and provide a record of Earth’s magnetic history. The new map can define magnetic field features down to about 250 kilometers and will help scientists investigate geology and temperatures in Earth's lithosphere, especially in parts of the African continent that do not have detailed magnetic field variation maps. 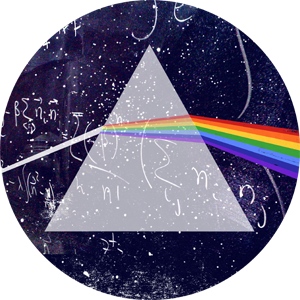 The ESA presented their findings last month at the Swarm Science Meeting in Canada, and their results have been attracting worldwide attention from the science community and beyond. For more information and videos, visit http://www.esa.int/Our_Activities/Observing_the_Earth/Swarm/Unravelling_Earth_s_magnetic_field. 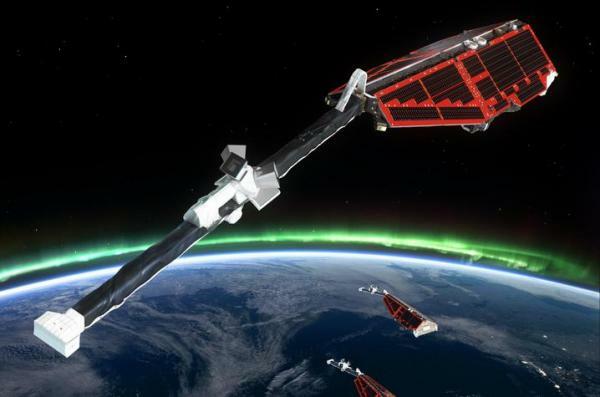 Swarm is ESA’s first constellation of Earth observation satellites designed to measure the magnetic signals from Earth’s core, mantle, crust, oceans, ionosphere and magnetosphere. Photo courtesy of ESA.